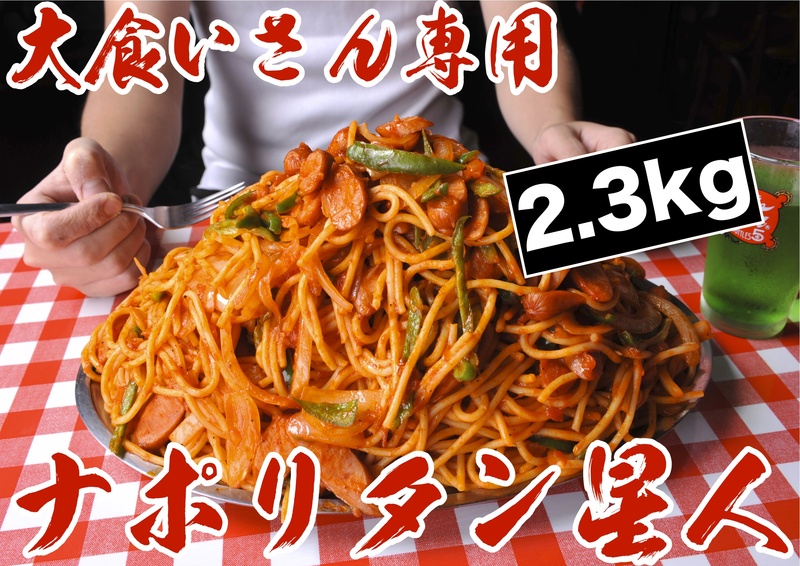 If you came from the country such as US, you might notice that most of Japanese eat very little than people in your country. On the contrary, you may be grieved that most restaurants serve very little food like for a bird. Is there no restaurant which serves enough food to fill your stomach by amount? Of course, there is. We call it 大盛り飯（large serving food）. 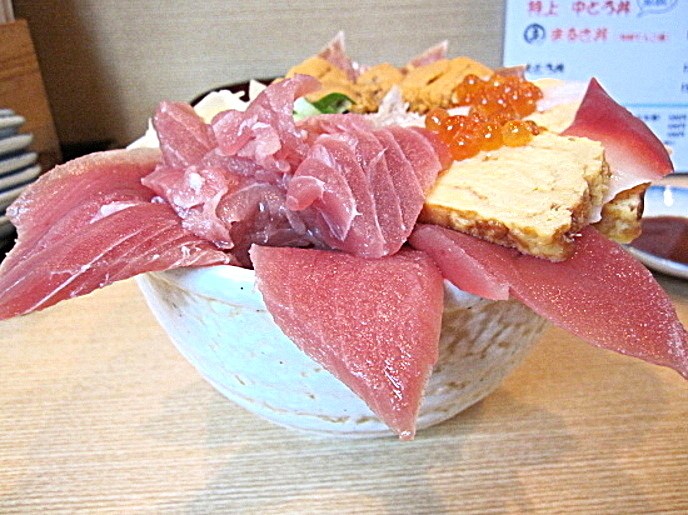 Today, I would like to introduce you about some famous 大盛りfood restaurants in Tokyo. 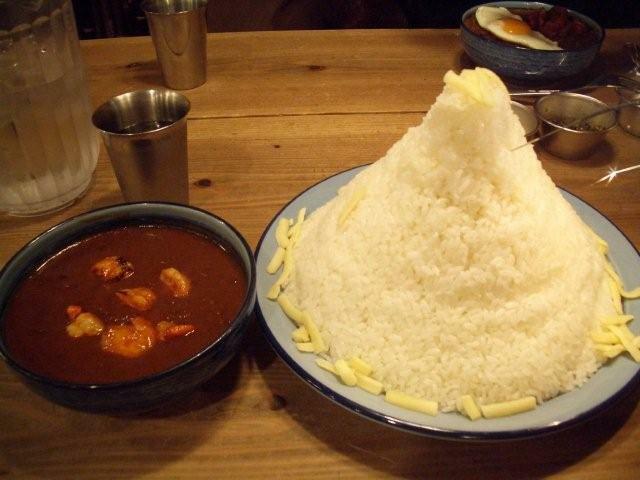 This curry restaurant serves curry with large amounts of rice like a mountain. This mountain looks difficult to complete to eat. This is unique 大盛りfood, because there are a few 大盛りfood except noodles or curries. In this restaurant fresh seafood is in 大盛りdishes. These three restaurants might be able to fill your stomach. Then, you might wonder who can eat such a 大盛りfood in Japan. I would like you to watch this movie; this movie records the most famous Japanese competitive eater Kobayashi. Japanese　people also can eat a lot of food!